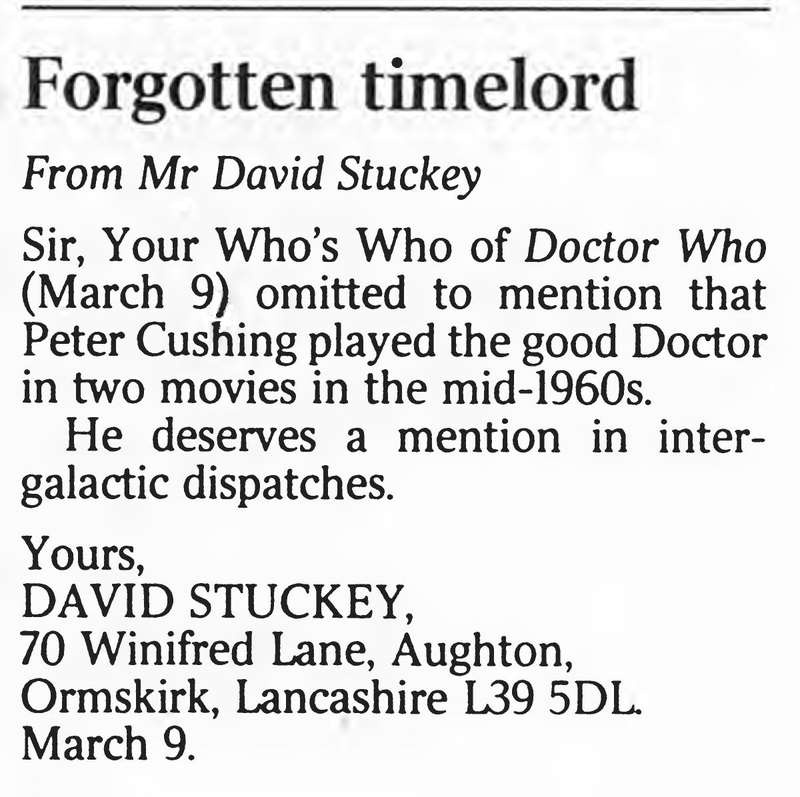 Sir, Your Who's Who of Doctor Who (March 9) omitted to mention that Peter Cushing played the good Doctor in two movies in the mid-1960s. He deserves a mention in intergalactic dispatches. APA 6th ed. : Stuckey, David (2005-03-11). Forgotten timelord. The Times p. 18. MLA 7th ed. : Stuckey, David. "Forgotten timelord." The Times [add city] 2005-03-11, 18. Print. Turabian: Stuckey, David. "Forgotten timelord." The Times, 2005-03-11, section, 18 edition. This page was last modified on 3 April 2014, at 01:44.